For many companies, content marketing is something that has evolved over the last decade or so. Most early websites emphasized feature and benefit descriptions. Then some innovators started to provide content relating to earlier stages in the buying process. For example, they helped buyers determine whether they actually had a problem or needed to by something to solve the problem. They also helped buyers compare purchase options across the product line and even among competitors. These leaders were much more customer-centric with their content. In a few industries, however, content marketing has been de rigueur for decades. Out of competitive necessity, they have created highly sophisticated mechanisms for planning and executing content marketing programs that serve customers and create competitive differentiation. Consentric has conducted extensive benchmarking with these companies to develop its content marketing service offering. While the full range of services is not needed by all companies, the foundation of our approach is rooted in best-of-class practices. 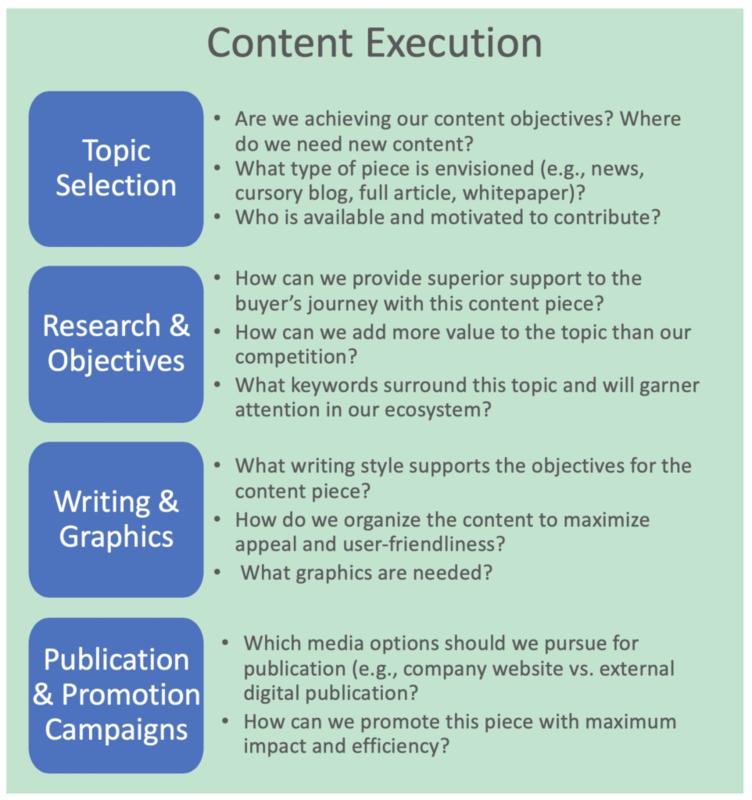 The following two tables summarize our approach to content marketing. We divide the process roughly in half, where the first half emphasizes planning, and the second half is about exeuction. While there is considerable overlap between planning and execution, and within each area, the graphics help illustrate the complexity that surrounds a comprehensive approach to content marketing. 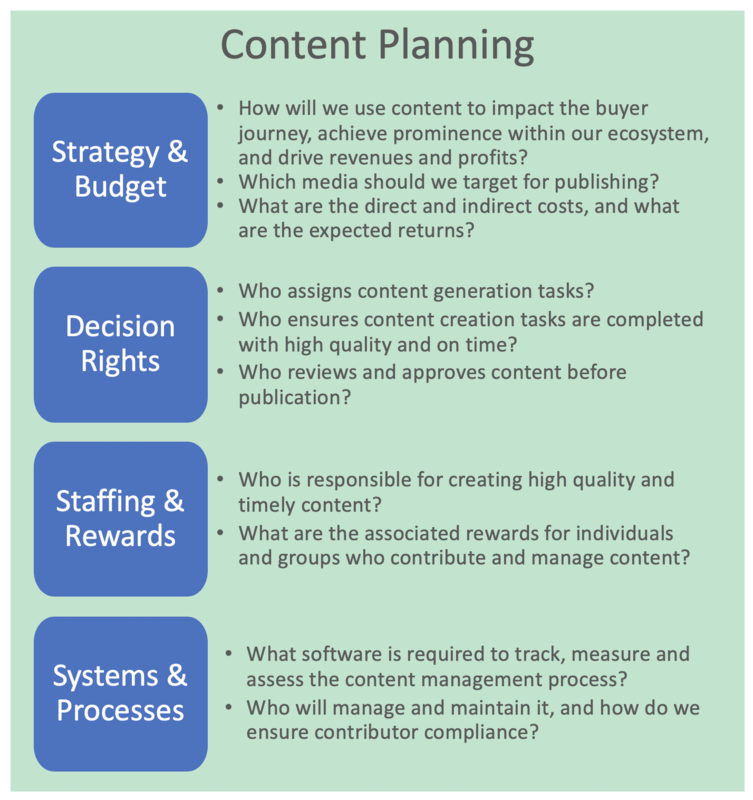 Consentric starts its content planning process with buyer’s journey and ecosystem studies. We work with the client’s prior research wherever possible, but few companies have buyer journey studies that define the role of content, and even fewer have ecosystem studies. Why is this information vital? A company cannot be customer-centric in forming a content strategy if it does not know how content serves customers during their journeys. A company cannot assess its competition in the world of content without an ecosystem study. Decision rights refer to the numerous responsibilities and authorities that surround content creation, publication and promotion. For example, do product managers develop blog content on their own and send it to website administrators for publication, or must their submissions complete various rounds of review and approval? 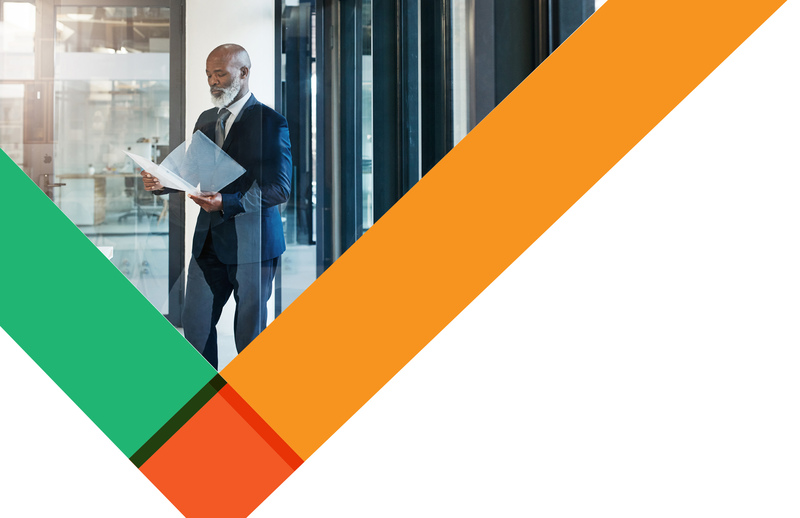 Planning for content staffing centers on questions like: Can our staff produce the content required to execute the content strategy, or do we need outside support? What skills and competencies are required? Even when capable internal resources are identified as potential content creators, there is often a motivation gap: “I have a core job, and it does not include content management. I just don’t have the time to write blogs.” These issues must be addressed before content generation tasks are assigned. Otherwise, they will not be completed, or will be done poorly. Numerous content management systems are available. Which ones will meet our needs? The process of answering this question starts with specifying features and functionality. These are rooted in the content strategy itself, and from there tie to decision rights, staffing and rewards. 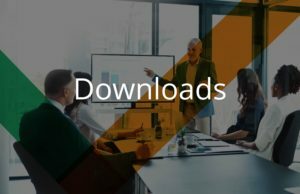 What work has been completed to-date, and how effective was it? Have we learned anything new that suggests a different tack with content creation? The front-end of content creation often starts with collecting prior written materials on the subject and repackaging it for a new piece of content. Sometimes this is a perfect approach; it can be quite efficient and effective. What are the top-ranked content pieces? What core concepts are explored, and how effectively are they portrayed in the articles? What additions and deletions can we make to create a significantly better and more powerful piece? Some SEO assessment engines have become quite effective at tracking key features of content such as readability and focus by measuring average sentence length, sentence construction, use of keywords and phrases, etc. This is a good start, but other content aspects are more challenging to assess, such as: How interesting will it be for the target audience? Will it add value? For some content pieces, an informal and conversational tone is more appropriate. Other pieces need a more structured writing style to convey more complex concepts and interrelationships. Graphics also play a key role, not just for the content piece itself, but for its promotion. Testing of various graphics over time can help identify those graphics features that are most compelling within your ecosystem. Many companies assume that the only relevant publication vehicle is their own website. We have found, however, that independent websites can be a powerful additional content outlet. Independently curated sites add credibility and content diversity. Another common problem is to publish content and then let it sit there. Why go to all the trouble of creating great content and then let it just sit there like the proverbial tree that fell in the woods—does it exist if no one is reading it? As a rule, all content needs some form of promotion. This can range from a top listing on a company blog page, to sidebar ads, to social media ads. Content marketing campaigns have an infinite range of options. A constant testing regimen is required to discover what generates the highest levels of clickthroughs, orders and returns.